THE ORIGINAL COMBINATION MOLD HEATER AND LEAKSTOPPER - IT DOESN'T JUST PREVENT LEAKS IN INJECTION MOLDS - IT'S PART OF A COMPLETE SYSTEM DESIGNED TO INCREASE THE PRODUCTIVITY OF YOUR MOLDS! With the Vac-U-Temp System not only are water leaks a thing of the past, but so are many of your venting and cooling headaches as well. Only genuine Logic Corporation products may be used with Water Transfer™, Waterline Venting™, or other negative-pressure techniques that will vastly increase your production rate. Takes advantage of negative pressure (whether using water, ethylene glycol, or hot oil). Hot oil under negative pressure - up to 300 degrees. Little or no pressure in your cooling line minimizes dangerous burns from hot oil. 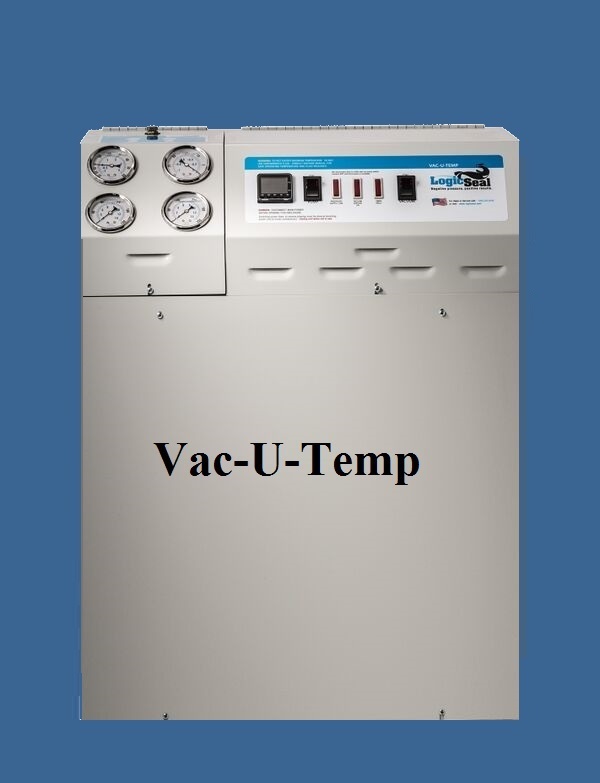 Capable of controlling mold temperature + or - 1 degree Fahrenheit. Electrical requirement: 208-240 380, 440-480 volt. 3 phase 60 hertz. With 120 volt control circuit.